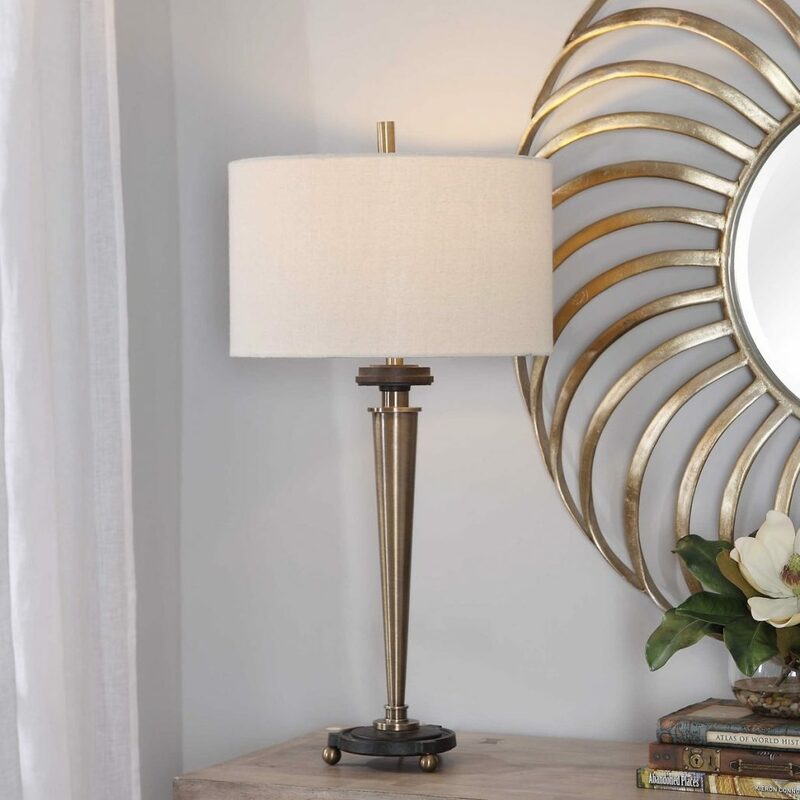 This table lamp has a steel constructed tapered base finished in antiqued brushed brass. A textured, aged rust black cast iron foot and matching bobeche completes the contemporary design. This piece is topped by a light beige linen drum shade with natural slubbing. Designed by Carolyn Kinder International. Available to trade professionals at Uttermost.com. Explore retail options for this product using Google Keywords Carolyn Kinder Osten Steel Lamp.